The U.S. Department of Transportation developed the Vulnerability Assessment Scoring Tool (VAST) to help state departments of transportation, metropolitan planning organizations, and other organizations implement an indicator-based vulnerability assessment of their transportation assets. Vulnerability is a function of exposure, sensitivity, and adaptive capacity. Certain characteristics of transportation assets can serve as indicators of their exposure, sensitivity, or adaptive capacity. Thus, the approach used by this tool involves collecting information about indicators of each component of vulnerability and operationalizing that information into relative vulnerability scores. 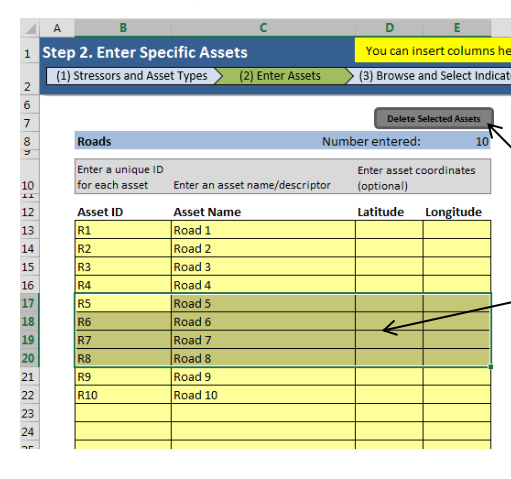 This can be done for any combination of stressors and asset types within this Microsoft Excel®-based tool (with macros). Components and examples of vulnerabilty for transportation assets. Asset types covered in this tool are (1) rail, (2) ports and waterways, (3) airports and heliports, (4) oil and gas pipelines, (5) bridges, and (6) roads and highways. Climate stressors covered in this tool are (1) increased temperature and extreme heat, (2) precipitation-driven inland flooding, (3) sea level rise/extreme high tides, (4) storm surge, (5) wind, (6) drought, (7) dust storms, (8) wildfires, (9) winter storms, (10) changes in freeze/thaw, and (11) permafrost thaw. VAST enables users to document the vulnerability of transportation assets in a study area. The assessment includes (1) determining the scope of the vulnerability assessment, (2) selecting appropriate indicators, (3) collecting data about those indicators, and (4) devising an approach to convert raw data about indicators into scores. The result is a set of vulnerability scores that can be used to rank assets by vulnerability or inform other analyses of the results. This assessment enables better prioritization in the course of transportation planning and more effective adaptation measures. VAST’s ability to address multiple types of assets and climate stressors make it effective for all regions of the United States.